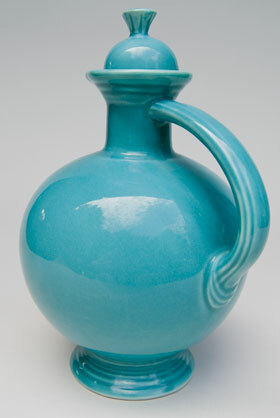 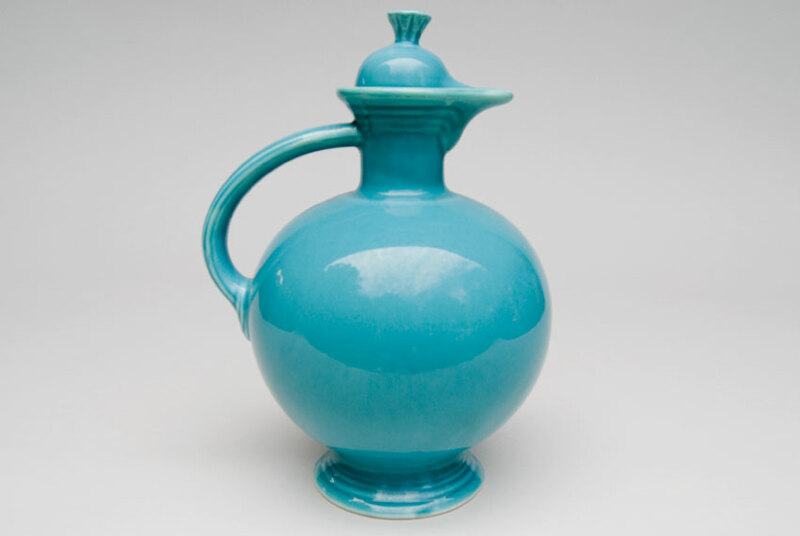 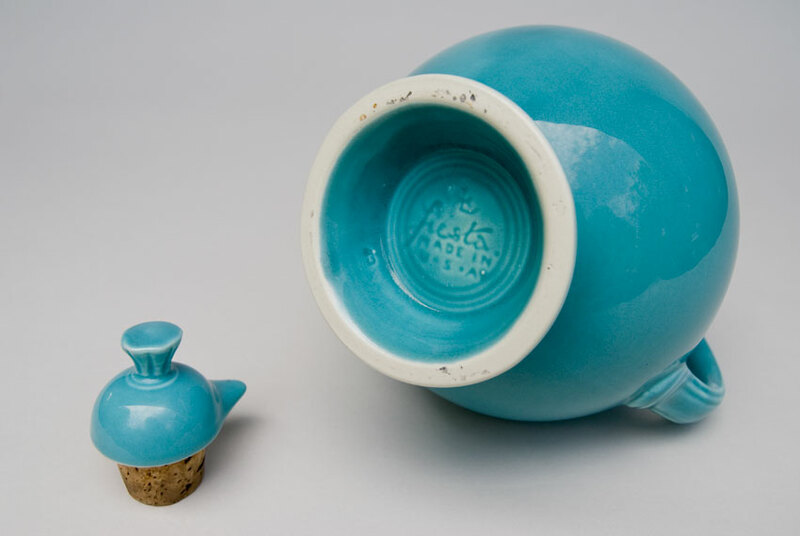 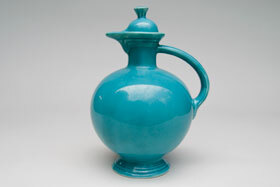 Circa 1937-1946: One of the most unique pieces of the fiesta line, the carafe, shown here in original turquoise glaze, is a highly sought after item for collectors. 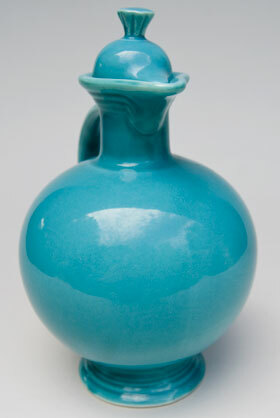 This example is in excellent condition, without damage, touchups or repairs. Sure to please and make a great addition to any Fiesta collection.